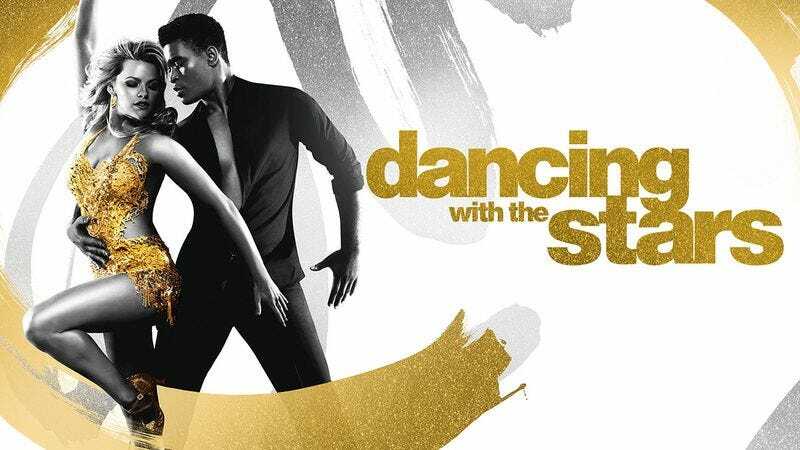 Now in its 25th season, ‘Dancing With The Stars’ has been a consistently dominant force in reality TV for more than a decade, with millions of viewers tuning in each week to watch celebrity has-beens go for broke on the dance floor. If you have yet to immerse yourself in this wildly popular dance competition, here’s everything you need to know about it to hold your own in conversation. Dancing With The Stars is notable for being the only thing that your parents still do together: It seems incredible, but it’s true. Over the years—and particularly since you left for college—your parents have drifted apart, and they don’t really have any other common interests anymore. Sometimes the two hours on Monday night that your mom and dad spend watching DWTS is the only time they see each other all week! The show originally began as a ploy to coax Joey McIntyre out of his house and cheer him up after he got a vasectomy that he regretted: The New Kids On The Block singer had been locked in his room for weeks with an ice pack on his groin, moping about his inability to procreate. His friends eventually realized that the only thing that could shake him out of his funk was the promise of being able to wear fun and colorful outfits on TV, which ultimately inspired them to create the show. During the early years of the show, budget constraints forced ABC to only allow the dancers to perform to the royalty-free song “Take Me Out To The Ball Game”: Blared from the preset selections on a junky Casio keyboard, the song was played hundreds upon hundreds of times over the show’s first three seasons, requiring contestants to endlessly reinterpret its simple public-domain melody in each and every one of their performances. An international crisis arose after a tap dance routine by Olympian Shawn Johnson accidentally spelled out the phrase “ANOTHER BAY OF PIGS INCIDENT, NOW PLEASE” in morse code, prompting both the Cuban and U.S. militaries to mobilize: While the situation was eventually deescalated through diplomatic negotiations, the U.S. spent more than $200 billion updating its missile defense systems in anticipation of a nuclear conflict, and nine Navy SEALs were tragically killed during a reconnaissance mission after their helicopter crashed 12 miles off the coast of Cuba. Rick Perry, a contestant on the show, presided over more executions than any U.S. governor in history: Perry, who during his tenure as governor of Texas authorized the deaths of more than 200 prisoners—some of whom were mentally disabled—competed on season 23 of the series and appeared to have a fun time.